Snootchie Bootchies! 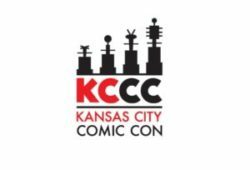 Kansas City Comic Con made three major announcements, all of them encompassing the popular View Askew Universe. First off, fans of the AMC television program “Comic Book Men” will be joining the convention for panels and more. Second, Jay himself, Jason Mewes, will be joining the Comic Book Men. And, finally, you can’t have Jay without Silent Bob! Kevin Smith, the creator of all things View Askew, and Mark Bernardin will be broadcasting their “Fatman on Batman” podcast LIVE from the Kansas City Convention Center. More details can be found on their website here and their Facebook page here. 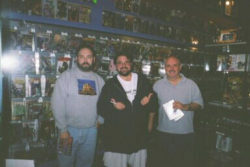 Our own MovieMike and friend Ben Ryland with Kevin Smith at JAY AND SILENT BOB’S SECRET STASH in Red Bank, New Jersey.